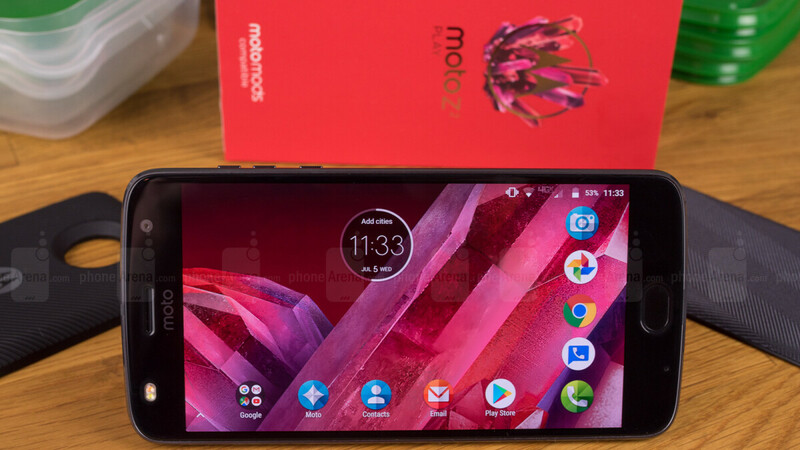 While the Moto X4 and Moto G6 offer some impressive bang for your buck at their newly discounted prices, there's a pretty big thing missing from the two's list of features that the Moto Z2 Play obviously provides. We're talking about Moto Mods support, allowing you to seamlessly expand the standard capabilities of your phone with the help of snap-on accessories. If that's something you're interested in more than the large and trendy 2:1 screen of the G6 or the IP68 water and dust resistance of the X4, Best Buy has an awesome deal on the Verizon-locked Z2 Play right now. The modular 5.5-incher can be yours for as little as $3.99 a month with two-year installment plans, amounting to a grand total of only $95.76, down from a regular price of around $410. It was only last week that we saw the same Moto Z2 Play variant discounted to $168 with device payment plans, but the greatest thing about the latest deal is that it also allows Verizon subscribers to get the handset at an unbeatable outright price of $99.99. That's good for upgrading customers, as well as folks looking to add a new line of service to an existing account, and altogether new subscribers. The only requirement is to activate the phone upfront. In case you're wondering, an unlocked model is currently sold at $269.99 through Motorola's official US website as part of the brand's extended Valentine's Day sale. So, yeah, $99.99 is a pretty amazing price, especially when considering the premium build quality and respectable overall specifications of the Moto Z2 Play. This is a glass-and-metal slab with a Full HD AMOLED panel in tow, as well as a Snapdragon 626 processor, 3GB RAM, 32 gigs of internal storage space, a decently capable single 12MP rear camera, and an almost surprisingly large 3,000 mAh battery for a 6mm thin body. And yes, that wasp waist can also accommodate a headphone jack.